Who Are The Ad Wizards Who Came Up With This One?! 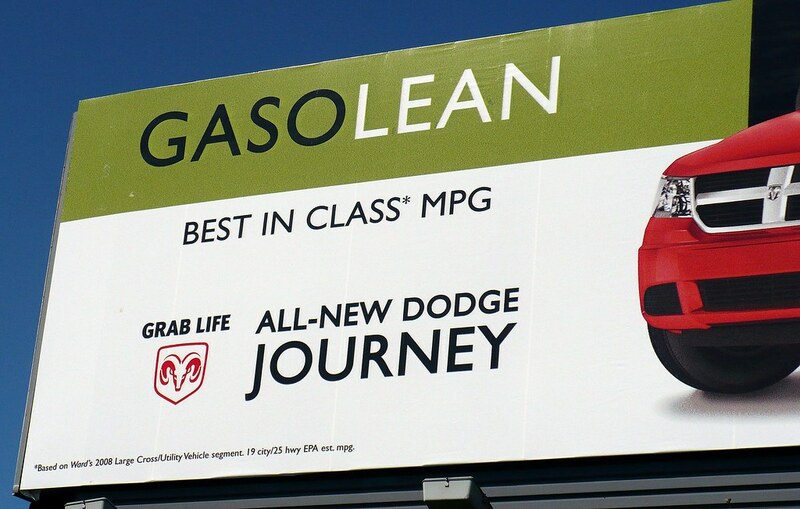 Lets say you are driving North on I-35 around 127th street overpass and you notice this enticing billboard. 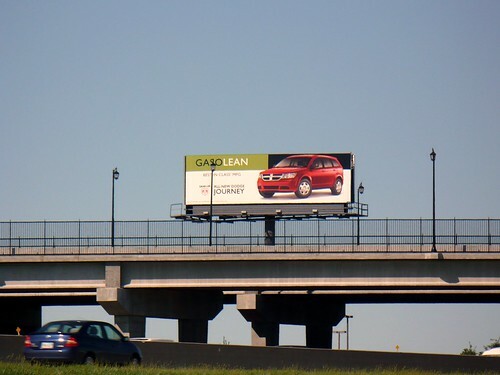 “GasoLean“, just what you always wanted, but something is not right and no amount of squinting allows you to see just how “GasoLean” this vehicle is. Is it closer to “GasoBulemic” when it actually throws up most of the gas it consumes, or is it bordering on “GasObese”? It’s simple. All you have to do is drive up to 127th street, park your car at the nearby apartment complex, walk up on the bridge and read the fine print. Still can’t see? You must be getting old, have a closer look. That’s all, just a quick drive and a short walk away. Next: Why I dropped my subscription to the Consumer Reports Magazine.